Order, renew or change your subscription. 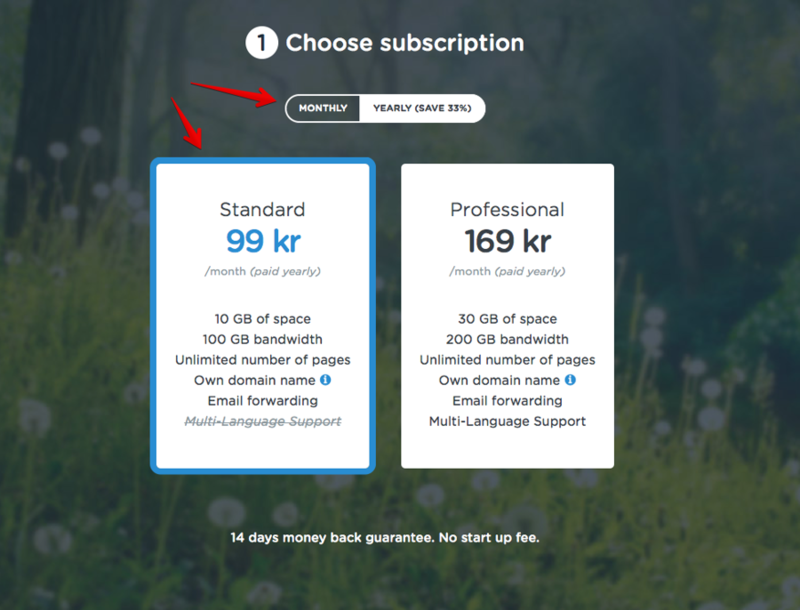 Choose what type of subscription you would like. You can also choose monthly or yearly payment. 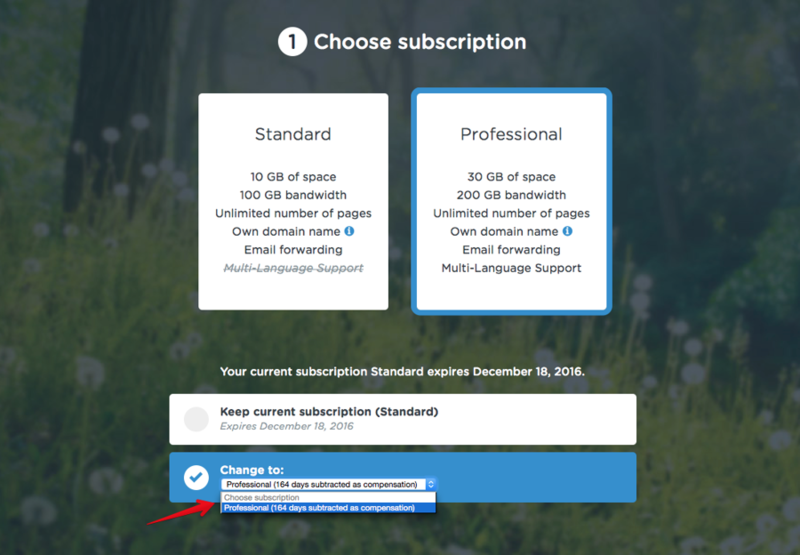 If you want to change your current subscription, choose new subscription under "Change to". 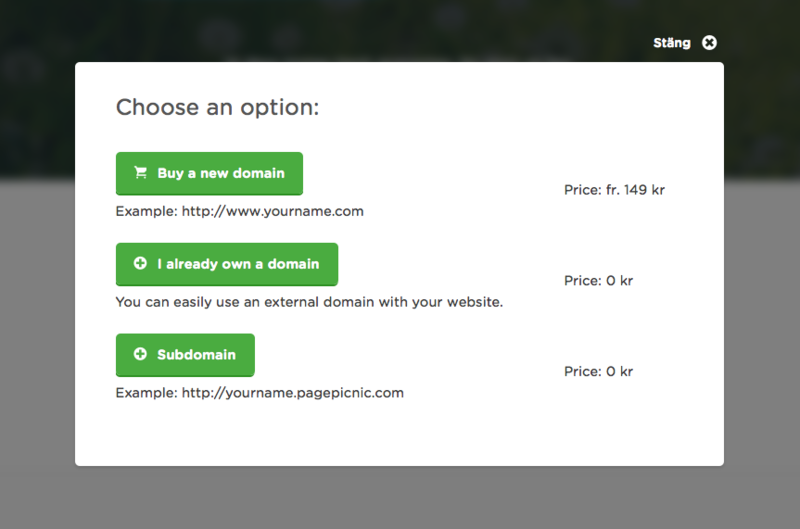 Click on "Buy a new or Add existing domain"
You can buy a new, add an existing domain or use a free sub domain. 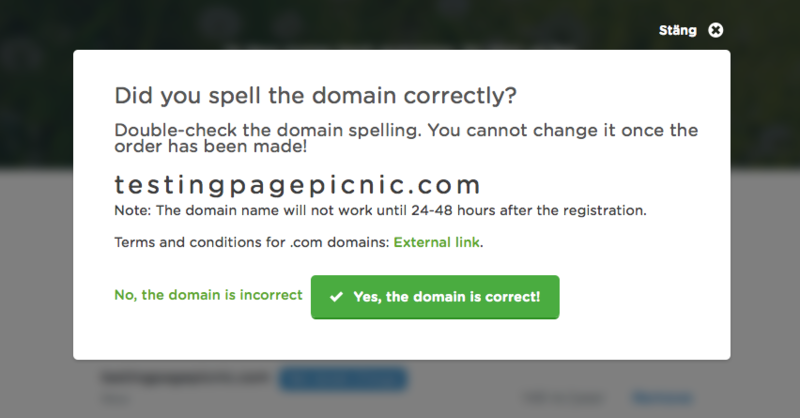 Check your spelling. 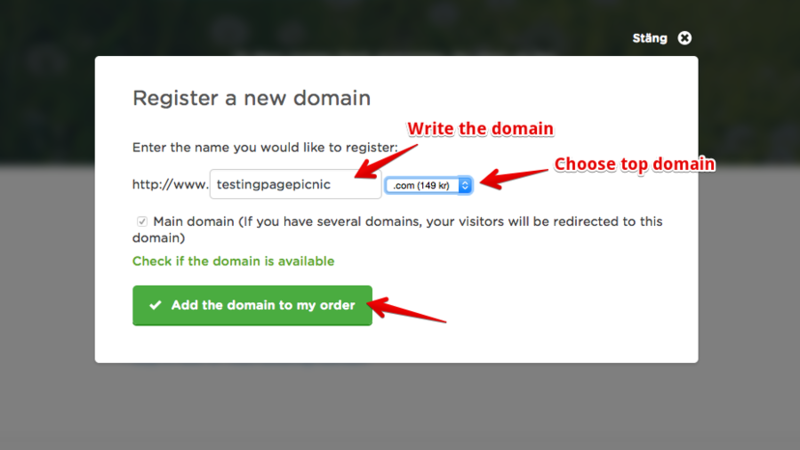 The registration cannot be changed. 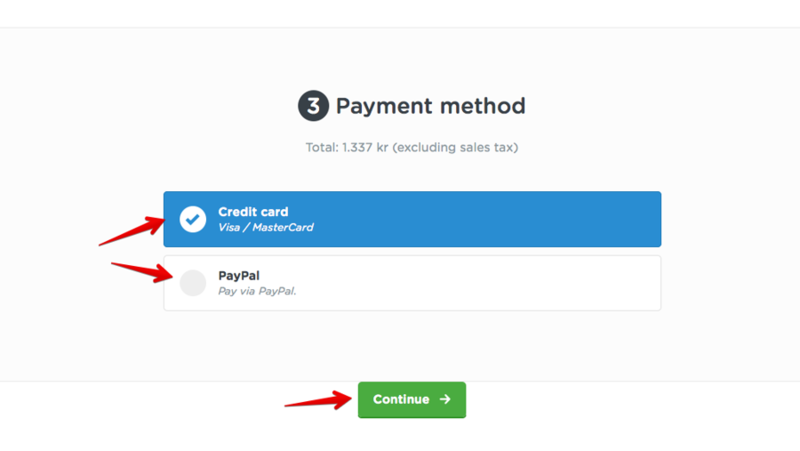 You can pay with credit card or through PayPal. 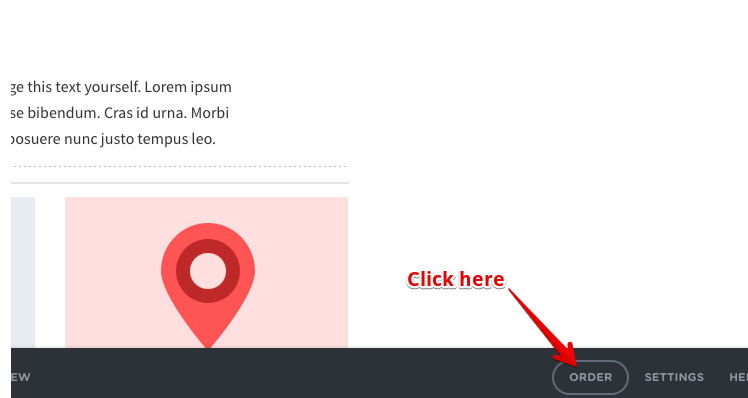 Choose and click "Continue".